• State of the art, sting free and safe! • Made of a high density foam core surrounded by nylon windings and a heavy duty cloth cover. • Raised seams for a more realistic feel. • Machine washable and long lasting. 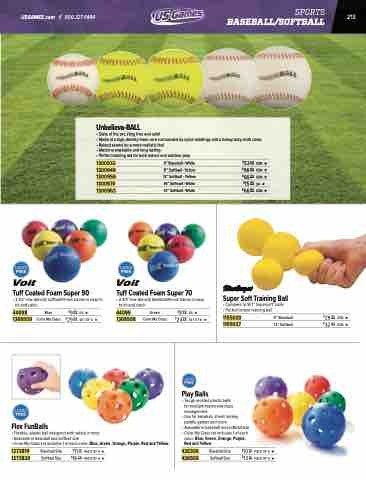 • Perfect training aid for both indoor and outdoor play. • Color My Class set includes 1 of each color: Blue, Green, Orange, Purple, Red and Yellow.